Cactus cross stitch kit, 18 count fabric with a 7 inch hoop included. Announcement Welcome to Stitched! The place to find your perfect next project. Be it cute, bold or snarky, I have got you covered with top quality designs & supplies. Every pattern in this shop has been test stitched, so you know exactly how it will turn out and all kit components are from well known and loved industry brands. All you need to do is pick which gorgeous project to start. Welcome to Stitched! The place to find your perfect next project. Be it cute, bold or snarky, I have got you covered with top quality designs & supplies. Every pattern in this shop has been test stitched, so you know exactly how it will turn out and all kit components are from well known and loved industry brands. All you need to do is pick which gorgeous project to start. Kit has everything I need, patterns are clear and great (although I feel like they could fit on a small sized piece of paper)- can't wait to finish! Very pleased with purchase, item as described. A close up of a super fun stitch. 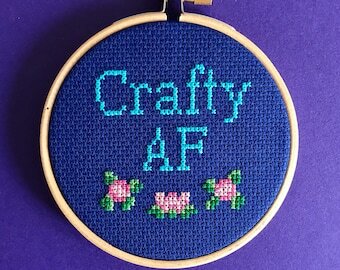 Stitched began after a crumby day & a BuzzFeed article called 'Not your Grandma's cross stitch' that gave me a well-needed giggle. I had done a couple of projects when I was a kid, enjoyed it well enough but was uninspired by the designs available at the time. Fast forward 15 years & there is all sorts of fun, modern & inspiring things to stitch. I particularly like anything offensive or subversive, I love the contrast of an old, traditional medium & funny, sweary messages. My inspiration comes from everyday life, both the exhalations & the frustrations. I do try to bring a dose of humour to any of my offensive pieces, I describe them as gifts for very good friends. They are designed to be given with love & a cheeky grin. Since I started this journey I have noticed what great therapy cross stitch is. You need to concentrate just enough to keep yourself mindful of what are doing but its not so taxing that it brings vexation. The final bonus of course is that you end up with a lovely piece of art at the end. Anyway, I hope you enjoy looking around my shop, do contact me with any custom requests & I love to see your finished products as well. 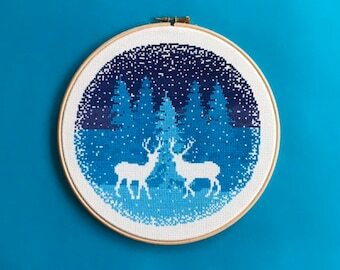 What happens if I run out of thread in one of Stitched's kits? As a general rule I always provide more thread than you will need to complete each kit, but sometimes we make mistakes counting or stitching or thread coverage & can use up all of the extra that Stitched provides. If this is the case please get in contact with me. In most cases I will be happy to send out more. I do reserve the right make a decision on a case by case basis but I have never had the need to say no in the past. 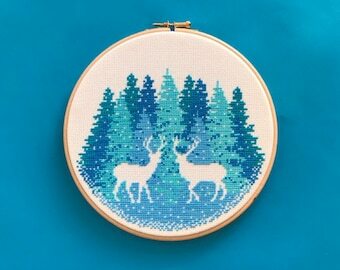 I want everyone to be able to enjoy cross stitch & certainly don't want a beginner put off cross stitching by them not being able to finish a piece as they need one more length of floss.